Wenger considers Cavani | The Transfer Tavern | Where football transfer rumours fly or die! 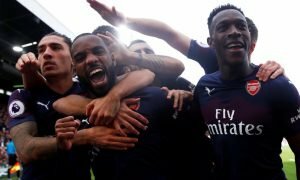 Here in the Football Transfer Tavern we might feel that Radamel Falcao has stolen the thunder created by Edinson Cavani last season but as Goal.com report, he is still a hot property. For a man who is notoriously tight with his purse strings, for Arsene Wenger to declare he is ready to spend big you know the player must be good. Uruguayan international Cavani is of course this good, and could well be on his way to Arsenal. Cavani has of course been linked with everyone under the sun in the last couple of seasons with talkSPORT reporting this month that Real Madrid, Manchester City and Chelsea were interested in the player. Wenger claimed: “Cavani is a player that I like. What is for sure is that he costs a lot of money.” After selling Robin van Persie however, the club are in dire need of another world class forward and given how strong the Premier League is this season, that cannot come soon enough. 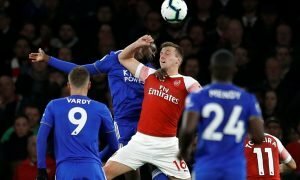 The battle for fourth has heated up considerably with Spurs and Everton making a strong claim for the final Champions League spot and Wenger knows that missing out on that final place could well mean curtains for him at the club. Do you think Arsenal can afford Cavani? Vote in our polls below.